Name of the school – Sri Sri Ravishankar Vidya Mandir. Venue – Nomura, Hiranandani Gardens, Powai. 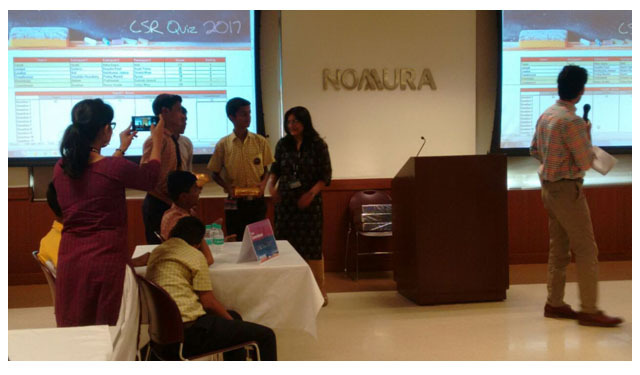 A quiz competition was organized by Nomura, as a part of their CSR initiative. Nomura Holdings, Inc. is a Japanese financial holding company and a principal member of the Nomura Group. It, along with its broker-dealer, banking and other financial services subsidiaries, provides investment, financing and related services to individual, institutional and government customers on a global basis. Thirty-two teams comprising of three participants from class 7th and 8th each representing different schools have participated in the event. The quiz covered a variety of topics ranging from world Contemporary History, Mathematics, General Sciences, Current Affairs, Sports, Cinema, and Arts. 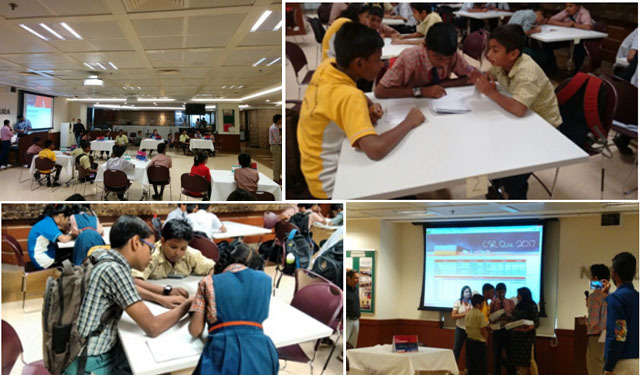 The quiz was conducted in two phases, the preliminary round held saw 24 teams participating in qualifying for top six teams. The keenly contested finals comprised five rounds including rapid fire, a buzzer round, guess the picture namely. The event was full of excitement and energy as the top six teams competed till the last question of the competition. Four students from SSRVM School were selected for the top six teams and were in four different schools. In the final round of the competition, the students from SSRVM School have won the competition. Shakti Ganesh Thevar from 8th Grade stood first, Anubhav Singh from 8th Grade stood Second and Prathamesh from 9th stood Third.